More on the 'save the polar bear' timing | Watts Up With That? Why bother with facts when you have beliefs? Sadly, it has become apparent that our government agencies must be culled of all activists, before they can be trusted to carry out their duties. The managers who have enabled and encouraged these abuses of the public trust also, incompetence or malice does not matter. These administrators swore an oath, this makes their negligence akin to treason. During the 1940’s there were supposedly only five thousand polar bears and now there are 50,000 of them. Sounds like some kind of success story to me. There’s a trade in ‘polar bear parts’? Ewww. I see that I have no idea what a sheltered life I really lead. In the meantime, the Antarctic sea ice area positive anomaly now exceeds the Arctic negative anomaly. I know polar bears are scarce at the south pole but, just sayin. To “be saved,” first you must be endangered. I have not seen any proof that “global warming” endangered the animals in the first place. I saw a lot hysteria, of course, but hysteria isn’t undeniable fact. And that is what is wrong with the climate alarmists – they can’t recognize that there is, in fact, a difference between “belief” and undeniable fact. But then again, that goes for any group hellbent on protecting us from ourselves – MADD being one, anti-smokers being another, gun controllers being yet another group. And then there is the group that is busily designing the “car that drives itself” so as to protect us from “avoidable” accidents with those being defined as man-made errors in judgement as opposed to programming errors that didn’t take something that hadn’t happened before into account, where a human hand at the controls would have used intuitive logic to potentially turn a disaster into a near miss. In Derocher’s most recent paper he argues for “Human safety” writing “As sea ice availability has declined, forcing bears onshore for progressively longer periods, the number of human-bear interactions has increased (Stirling & Parkinson 2006; Towns et al. 2009).” Five different papers use this argument to suggest bear encounters are due to less ice. However encounters dropped after 2004 when the dump was closed despite the record low ice. And Derocher and his ilk never update the data in order to keep this story alive that lost ice is driving bears into Churchill. 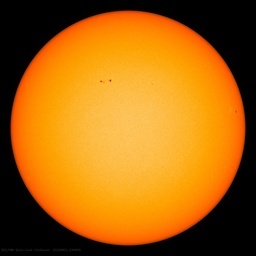 However in 2012 according to Darryl Hedman from Polar Bear Alert. “Average number of polar bears handled by his staff was 80 and the highest ever handled was 176 in 2003. 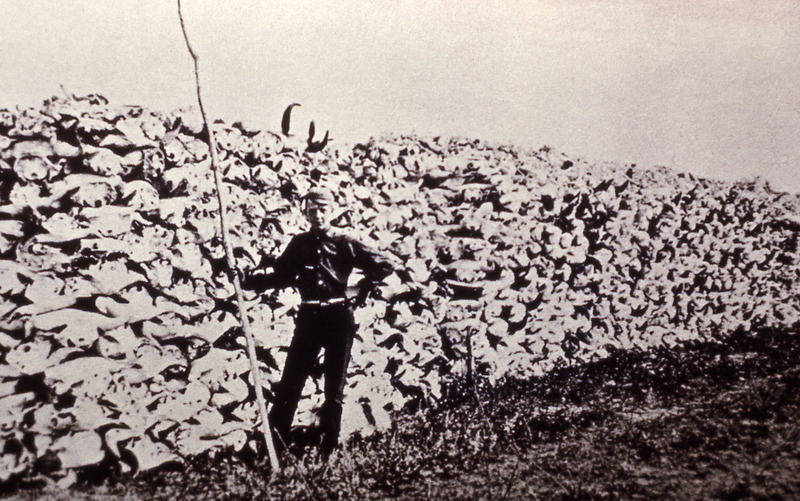 The Churchill dump was closed in 2005 and the average number of bears plummeted to 50 thereafter. Anyone got any stories about Arctic explorers getting attacked and eaten by Polar Bears. Heard a story they want Polar Bears classed as Vermin. Now, burgeoning polar bear populations are far from endangered, and perhaps they are even overpopulated. What’s more, I’m going to provide a counter to the notion that polar bears are like cuddly teddy bears on Coke cans that are deeply worthy of saving. Lets compare them to grizzlies. Generally, grizzlies attack humans only defensively (they don’t eat us; black bears will “snack” on us, but are deterred by fear), and can be trained, and grizzlies appear as co-stars in movies. Yes, grizzlies can be trained, but NOT polar bears. PBears seem to see us as crunchy taquitos, and fearlessly push the edges trying to get to us, so they can dine. Polar bears WERE in danger in the early 1970s, after decades of unregulated hunting. That ended with the 1973 international treaty to protect them, signed by all five Arctic nations. Numbers have rebounded since then – we just don’t know by how much. We still don’t really know how many bears there are, since huge portions of their territory have not been systematically surveyed. For some reason, no one seems excited about my plan to save the polar bears…by transporting 100 mating pairs to Antarctica. I’m sure there are enough penguins there to keep them happy for a few years. Maybe. How about we throw the odd eco-tourist to the bears to keep them fat and happy. I have a friend who went filming through the NW passage two seasons ago and there were so many polar bears that he stopped filming from the water. His comment was that if you saw the bear it had been stalking you for a half hour. Another comment was that the natives are generally upset that there are too many and they are coming into the villages. An inconvenient uncomfortable truth for those who project an untruth for political reasons and those who know better but need to earn a living. The implication from my conversation with him was that the discussion/observation of too many bears was nixed in his film because it was contrary to the generally believed narrative and would elicit a negative response to the film and reduce the potential. I am not surprised. This is an insight into the crushing momentum behind the political “We are responsible for climate change and we are very bad humans; so give us your wallet”. take some cuddly polar bears ( should they have capital letters ? ) and transport said bears to South Pole and hey presto, claim conservation, gain plaudits, move on to saving all the penguins being being displaced by the cuddly polar bears. Totally one hundred percent correct, in my view. These people are dangerous not just to society but to indivuals directly – how many people have died so far just due to fuel poverty? How many have died due to starvation because of pet projects of the Greens? How many people do the Greens want to “cull”? Wasn’t it 90% ? How much destruction will these people be be allowed before they are stopped? We’ve given them everything they’ve wanted, but it is never enough. They want more and more and more, and we give them more and more and more. Now they have all the money, their windmills are destroying our environment, people are dying for lack of warmth or food – and still they scream for more and more and more. When will it stop? It won’t stop. Not until civilization is dust and a few strong survivors live in caves and without fire because everything else is taboo. If you have a vampire in your town, you get rid of it. I’d say we have vampires. It’s time we look to the issue of why they are allowed to be in power at all. It’s time we look to the issue of their removal, and dish out some heavy duty jail-time. These people are liars, cheaters, manipulators and outright criminals. We have to act to stop them – they won’t go away by themselves. up.I asked why? He said we might as well go home,read that sign. out of work and you Folk have to put up with me. When I hear the words ‘Polar Bear’ I reach for my revolver. 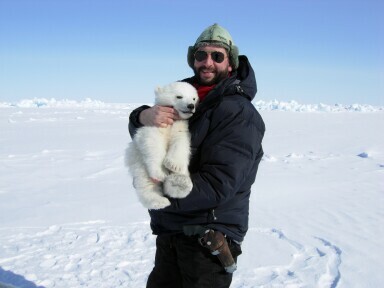 So, the polar bears are saved … and what will Derocher do for the rest of his ‘career’ ? He’s invested pretty much everything in a principal cause. Those are certainly some eye-popping numbers, and make sense with what I learned about the northern fur trade when I studied it briefly ~10 years ago. When you look at the history of whaling, and especially other hunting in North America during the time periods referenced, you will find mind-boggling amounts of kills. Africa also has seen many of its great beasts pushed to the brink, as has Asia. I recall reading something about woolly mammoths dying out due to human hunting… can’t find it right now, too many links about “climate change” coming up. As a graduate (’65) it is my intention to write to the U of A about this matter. Unless you have any objections I am thinking of referencing some of your comments from here or the previous thread. Jim, as you may be aware there are at least 23 professionals with your name in Canada. Are you the graduate of NAIT who is now with the Alberta Department of the Environment? Derocher, already a known scientist/activist is simply fighting for his funding. A solved problem does not interest him and just like so many CAGW zealots, they are saddened when the apocalypse is not for tomorrow… Is Derocher the Mann of Edmonton? Heart-warming pics of Derocher with young polar bears. I don’t imagine he’s drugging the baby polar bears is he? Derocher is a political hack that is in his position because of his Marxist ideology, not his capabilities as a scientist. The PBSG of the IUCN currently exists for one reason, and that is to insure the continued survival of the Polar Bear as a tool of propaganda with which to bludgeon capitalism. The PBSG is run like a Marxist politburo. Everything that it produces is carefully crafted to insure that it reflects proper messaging that supports the cause without regard to any actual science. They are the enemies of man in their attempt to destroy prosperity. The are the enemies of the polar bear in their attempts to distortion science. In other news, I guess I need to get out more. I had no idea that the esteemed Dr Crockford had a blog! I am more familiaris with her work on dog evolution though then bear. I have heard her in interviews and have read some of her work. What is amazing is that I have absolutely no idea of were her political ideology lays, other then maybe science trumps politics. How refreshing! Porcupines are much more boring-but safer..
Ron Durda, I am not a Canadian but an American biologist. I chased a black bear out of our camp-site in the middle of nowhere by hitting it with a thrown full can of beer. True story. The bear ran away as fast as it could, crying all the way and a trophy beer was born. I was too young at the time to realize how dumb that was. there are no polar bears at the south pole and there are no penquins in the north…to add polar bears is to erase penquins…. Don’t buy Coca-Cola, because the company misleads people about polar bears. I don’t trust Bears, and that means all of them. After living in Slave Lake, I do remember the warnings on the radio about black bears coming into town, and yes sometimes sows did with their cubs too. So we learned which days when we could take a walk on the trails in town. We were told in no uncertain terms to not touch the cubs, or come between Momma and her cubs as warned by conservation officers on the local radio station. 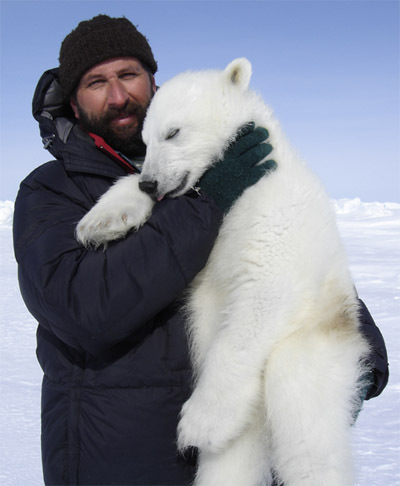 So when I see the scientists posing with the cubs, on the Polar Bear International site, and touching them, I thought to myself, WTH? Are they not trying to save these bears? The pictures of the scientists posing with the drugged bears reminded me of Trophy Hunters posing with their kills. The ones who posed with the cubs were the dumbest of the bunch. Bears are not trustworthy, drugged or not. Humans are not supposed to mess with bear cubs, that is why Momma bears have big teeth and big claws. All the better to teach us dumb humans that her cubs are not cuddly if we get too close. FYI, bear scare (Pepper spray), product should only be sold in small cans of one use only. It does tend to sweeten up, after it fades, and bears are attracted to that sweet scent. Forgot to add this to my post. Most of the ones who were mentioned in the paper that was released Jan 25, 2013 are pictured here on the site. Jim from Lodon asked about polar bears attcking explorers. Is this what you are looking for? Cut and paste the link if it doesn’t work. As I recall, one of the green rags (Nat Geo I think) published a picture of a bunch of polars bears sniffing and hanging around an area. The caption read that for years after the hog farm closed hopeful bears returned annually. Atheok, I believe you. Bears have good recall of certain things, like where quality food was once found, but are, in other ways, incredibly dumb. My mother used to feed birds in the back yard. This also attracted raccoons and in the appropriate season bears. When a bear would come, the raccoons would scatter into the neighboring bushes and wait for the bear to leave. One day, a bear heard noises from the waiting raccoons and rushed into the bushes to chase them off – straight into the trunk of a tree, knocking itself out for many minutes. Obviously Derocher isn’t afriad of the cute, cuddley and harmless bears… he’s carrying the gun to fend off mean, ignorant deniers! Derocher mentioned that Polar Bear counts in the 1950s were merely “guesses”, much like local temperatures before the instrumental record. So he, like his CAGW brethren, decided that, even though we don’t know what was going on before, we’re going to declare a catastrophe based on the fact that we don’t know what went on before. Gobsmackingly idiotic.